Its latest release is even more spectacular than what we have been accustomed to up until now. 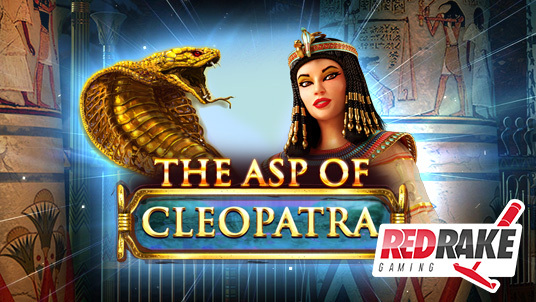 Also, this new video slot machine has a never before seen bonus phase entrance: an “Asp” at the side where players can gradually accumulate free spins from 4 consecutive re-spins which makes it possible to obtain bonus phases with up to 1.000 free spins. Another mechanic to highlight is the “Wheel of Gods Minigame” which appears after obtaining three Bonus symbols and it offers multipliers on its results, always making the player win. This is a wheel where once again what stands out is the meticulous care that has gone into designing it, obtaining such an optimum result that it seems real. With this new release, Red Rake Gaming has once again positioned itself among the most outstanding developers at present due to its great work and capacity for innovation."